Throughout history, the Basque language has taken up words not only from Latin, Castilian and French, but also from Celtic (Deba, zilar: "silver"), and Arabic (azoka" "market", gutuna: "letter"). On the other hand, words such as the Castilian for "left" and "scrap" ("izquierda" and "chatarra" respectively), and the French and English for "bizarre" come from the Basque language. Rural communities have kept the language alive for centuries. Before Roman times, it seems that the Basque language was spoken in an area larger than the present one, which bordered on the north with Aquitane, and on the south with the River Ebro. It is estimated, nowadays, that more than 600,000 people speak Basque in the seven historic Basque provinces: Lapurdi, Zuberoa and Behenafarroa (in France), and Gipuzkoa, Bizcaia, Araba and Navarre (in Spain). There are 520,000 Basque speaking people in the Basque provinces in Spain, that is 25% of their total population. The Basque language was not written until the 16th century, but that was not obstacle to creating a rich oral literature, kept alive up to the present times by the "bertsolarismo" and the pastorals. Curiously, the first written texts in the Basque language (the sentences "iziogui dugu" and "guec ajutu ez dugu", "we have lit" and "we have not helped") are in the 10th century Glosas Emilianenses, which contain the first examples of the Castilian ballad. In the 12th century, the Calixtino Codex mentions some Basque vocabulary of the people living along the pilgrim's road to Santiago de Compostela. But Linguae Vasconum Primitiae, the first book written in Basque by Bernard Dechepare, was not published until 1545. From the onwards, and not without difficulties, a flourishing literature has developed. The bersolarismo has been kept up in the oral literature. The "bertsolaris" improvise verses in a given metrical form (eight, ten lines...) for which they use little tunes. The meaning of the verses varies, going from satire and humour to the finest Iyricism. Competitions for bersolaris are held regularly; they help spread and interest in this type of popular literature. "Kilometroak", a popular movement supporting the Basque language. Things have not been easy for the Basque language. Apart from having to compete with two powerful neighbouring languages like Castilian and French, Basque was a forbidden language during the dictatorship that followed the Civil War. For decades, children had to study in an unfamiliar language, and were severely punished when they spoke in Basque, even at play time. An important movement to open up Basque schools called "ikastolas" started at that time. After a long and systematic effort on the part of many people, a parallel school network was set up to satisfy the needs of teaching in Basque. Today Basque schools are in the process of becoming part of the Basque state school, but in the French Basque Country, and some parts of Navarre, Basque schools are the only ones which provide teaching in Basque. The effort carried out for the recovery of the Basque language among adults was a leading cause. Therefore, every year a large number of people, whose mother tongue is other than Basque, learn to speak Basque. That way, the old myth that Basque is an impossible language to learn, is gone for ever. Also, religion was a key element in the development of the written Basque language. 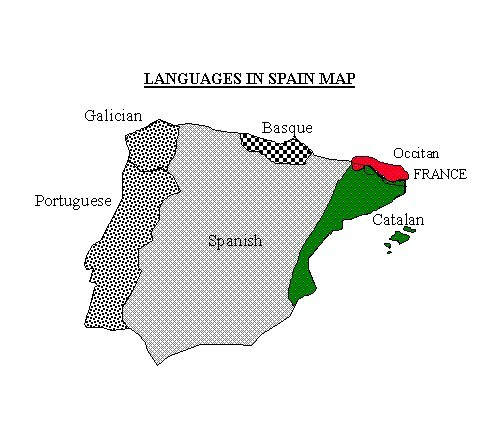 From the studies carried out by Prince Luis Luciano Bonaparte, the author of the Linguistic Charter (1883), Basque is considered to be divided in seven main dialects (Roncalés, the eight one, is already dead), and a number of subdialects. The reason for such variety is the geographical location, and the fact that until recent times Basque was mainly spoken in rural areas. With a view to modernizing the language, so it could be used as a cultural vehicle, the first steps were taken to define a unified language from 1964 onwards. Since 1968 Euskaltzaindia (the Basque Academy of the Language), founded in Oñate in 1918, has been in charge of this task. The unified Basque language was called Euskara Batua (unified), and it is mainly based on the variety of dialects from Laburdi (with a major literary tradition), and Gipuzkoa. In spite of the natural criticism and controversy, Euskara Batua is, nowadays, the most widespread type used by the mass media, in literature, and teaching. For those who wish to know more about the Basque language and literature, there are two interesting pocket books: "Mitología e Ideología sobre la Lengua Vasca", by A. Tovar, Alianza Editorial, n.= 771; and "Historia Social de la Literatura Vasca" by Ibon Sarasola, Akal 74, n.= 59. For a more detailed study on literature: "Historia de la Literatura Vasca", by Fr. L. Villasante, Ed. Aranzazu, 1979. In the Middle Ages, the geographical area where Euskara was the main language covered all the Basque Provinces in their entirety, except for the western tip of Biscay and the southernmost tip of Navarre and Alava. For some centuries, this area expanded beyond the Basque Country to the south, into parts of the Rioja region and north of Burgos. It is also likely that in the high valleys of the Pyrenees, east of today's Basque Country, varieties of the language were alive well into the Middle Ages. Since the Middle Ages, the area where Euskara is the main language of communication has shrank relentlessly. By the XVIIIth century it lost large parts of the province of Alava, and during the XIXth century large areas of Navarre lost the language as well. In contrast to the southern area, were the language has disappeared increasingly in the last three centuries, the northern borders of the Euskara speaking area have remained stable, probably in relation to the fact that the neighbouring language was not French but rather Gascon, a very distinct variety of Occitan. Nowadays, Euskara's territory has been reduced to Biscay -except the western tip and the city of Bilbao-, Guipuscoa, the valley of Aramaio in the north of Alava, the northwestern area of Navarre and all the Northern Basque Country (the Basque area within French borders), except for the urban areas of Bayonne, Anglet and Biarritz. The oldest traces of Euskara in history are a set of proper names found in Roman inscriptions in the Aquitanie. They consist mostly of person and divinity names, which are easily recognizable given modern Basque: thus for instance, Andere corresponds to andere 'woman, lady', and Nescato corresponds to neskato 'maiden'. There are also a few adjectives and suffixes that further confirm the fact that these are the first written traces of Euskara, dating from the first centuries after Christ. While up to the present century the predominant and often only language used in the Euskara speaking area was Euskara, we cannot say the same about this century. Nowadays, even within the Euskara speaking region, a minority of the population knows the language: only a fourth of the inhabitants of the Basque country and slightly less than half of the inhabitants of the Euskara speaking area. However, the number of speakers is increasing in the younger generations of the areas that include Euskara at school, and there is also a large number of adults who have learned or are learning the language. How do you say this in [English]? = Nola esaten da hau [euskaraz]? Do you speak ... = Hitz egiten al duzu...? What is your name? = Zein da zure izena? How are you? = Zer moduz zaude? Where is the bathroom? -or- Where is the toilet? = Non dago komuna? man-the-E child-the-D book-the given has. Qué tal?............Zer moduz?................ How are you? Kontuz!...............Cuidado! ................... Caution!, look out! Many of the place-names mentioned here have to do with their physical description. Therefore, it could be useful to know some of the words most frequently used. For example, Aizkorri: a bare mountain; Etxeberria: a new house.